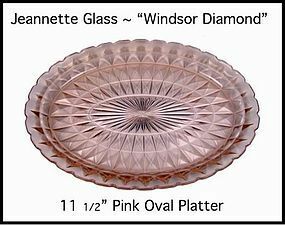 This pink Windsor 11 1/2" oval platter is in excellent condition. 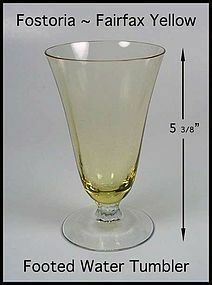 It was made by the Jeannette Glass CO. in the 1930's. 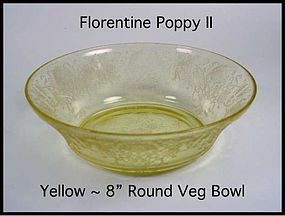 This 8 inch yellow Florentine Poppy II vegetable bowl is in excellent condition. 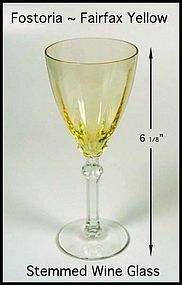 It was made by The Hazel Atlas Glass Co. in the 1930's. 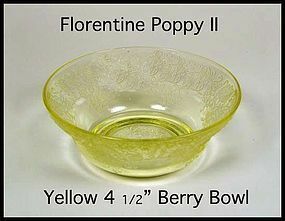 This 4 1/2" inch yellow Florentine Poppy II berry bowl is in excellent condition. 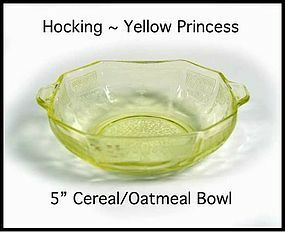 It was made by The Hazel Atlas Glass Co. in the 1930's. 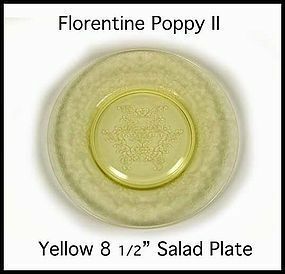 This 8 1/2" inch yellow Florentine Poppy II salad plate is in excellent condition. 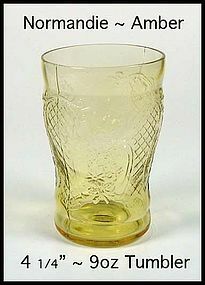 It was made by The Hazel Atlas Glass Co. in the 1930's. 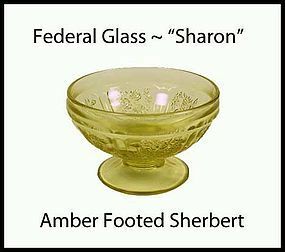 This yellow or Topaz Fairfax sherbert was made by Fostoria,and is in excellent condition! We have 3 of these short sherberts for $8.00 each. 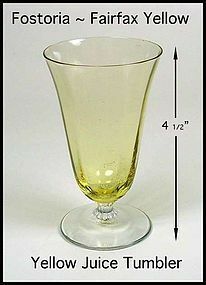 This Fostoria Topaz, or yellow Fairfax footed water tumbler is in excellent condition. It was made by Fostoria before 1960. We have 3 of these tumblers available for $12.00 each. 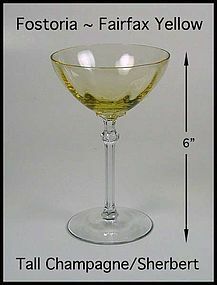 This Fostoria Topaz, or yellow Fairfax footed stemmed wine goblet is in excellent condition. It was made by Fostoria before 1960. 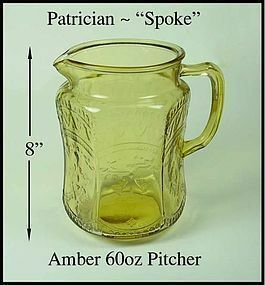 We have 1 of these tumblers available for $16.00 each. 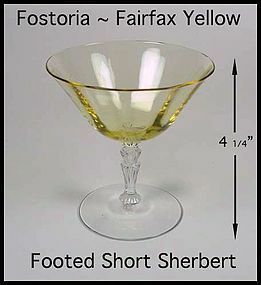 This Fostoria Topaz, or yellow Fairfax footed champagne/sherbert is in excellent condition. It was made by Fostoria before 1960. We have 2 of these tumblers available for $12.00 each. 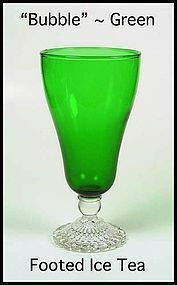 This green Bubble Footed Ice Tea glass is very hard to find. 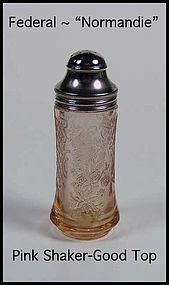 It is 7 inches tall and was made by Hocking. 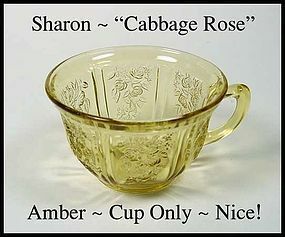 This is a true ice tea glass. 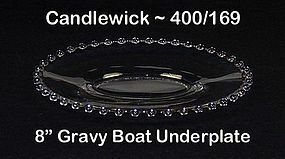 This Candlewick gravy boat under plate is in excellent condition, and was made by Imperial Glass. 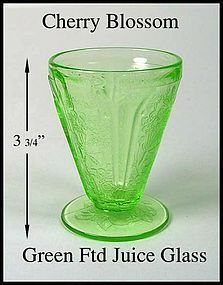 This green Cherry Blossom 4 oz footed juice glass is in excellent condition! We have 2 of these available for $19.00 each.